ASEAN is the Association of Southeast Asian Nations. It is an organization of ten countries which promotes the strengths of those nations among themselves and with the rest of the world. Those countries, in alphabetical order, are Brunei, Cambodia, Indonesia, Laos, Malaysia, Myanmar, Philippines, Singapore, Thailand, and Vietnam. Facilitating international trade with companies in other parts of the world is one of the important goals of ASEAN. American companies have recognized the benefit of working with ASEAN countries for their manufacturing and supply chain since the eary 1970s. Multi-national corporations such as Hewlett-Packard, Intel, National Semiconductor, and AMD led the way. Establishing a smooth and profitable relationship with suppliers who are halfway around the world and in different cultures is extremely challenging. There were daunting challenges in the 1960s and 70s. Some of these challenges still exist today, and some factors are due to the ever-changing regulatory and business landscape. Here are 5 factors that American and global companies eventually discover are key to their success. The sooner you understand these factors – and know how to navigate through them – the greater your chances for success with doing business in ASEAN. As a group compared to the United States, wages in ASEAN are predictably lower. However, great variation exists across the ASEAN countries. Like the USA, most ASEAN countries have a national minimum wage. Using this number as a guide, an economic analysis from 2018 which we obtained at Big Wau showed that Malaysia and Thailand were at the high range of wages, comparable with China. At the other extreme, the national minimum wage for Indonesia is approximately 30% that of Malaysia. This dramatic variation in wage pricing may be attractive at first look. But minimum wage levels don’t tell the entire story. The wage levels for your required skill sets, employment trends, and regulations specific to the country you are working in become important wage factors as well. For instance, Thailand began its $10/day minimum wage in 2013. This new regulation impacted many businesses. For most of 2017 the unemployment rate in Thailand was 1% which also created upward pressure on wages. Free Trade Agreements or FTAs exist between many ASEAN countries. They also exist between ASEAN countries as a whole and other countries. FTAs provide for reduced or eliminated tariffs and duty taxes for imports and exports. The details for each country, direction, types of good and service, and point in time are very complex and particular. India is one example, where an FTA is being phased in over time. When complete, tariffs will be reduced on over 90% of all goods between India and ASEAN nations. FTAs between existing countries within ASEAN are generally the most robust and attractive. 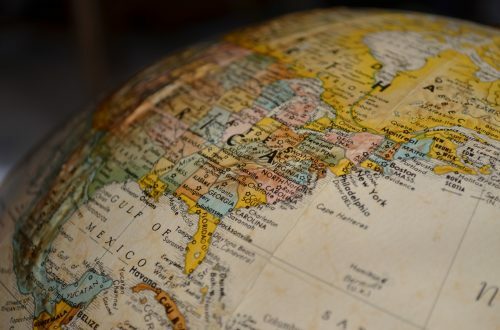 Often there can be zero tariffs and zero duties for imports and exports, but again this depends on the specific countries and the particular goods and services in question. For an American business leader, the important thing to know is that know FTA exists between the USA and any ASEAN country. But once you have an operation within an ASEAN country, you now have access to the large network of FTAs within ASEAN. The term Double Taxation Agreements (DTAs) leaves out the most attractive word: Avoidance. When two countries have a DTA it prevents the same income from being taxed twice. Obviously this is highly desirable for individuals as well as corporations. Both individual and corporate tax rates have seen declines across ASEAN countries over the past ten years, as governments recognize that we live in a competitive global marketplace. Individual rates range from the lowest possible of 0% in Brunei to the highest of 37% in Thailand. Corporate Income Tax (CIT) rates range from a low of 17% in Singapore (famous for its business-friendly environment with tax rates as one factor) to 35% for some foreign entities in Myanmar. Development zones exist in ASEAN countries similar to areas in the United States. Tax incentives exist for companies who decide to establish operations or a presence in these zones. Residency and compliance requirements are two other important factors that need to be included in a business leader’s strategic plans. Residency status is driven by a country’s definition of Permanent Establishment (PE). Compliance requirements will impact your cash flow (for instance, quarterly vs annual payments) and necessary accounting expenses. Including the tax implications into your ASEAN business strategy is essential and is much more complicated than establishing a new operation within the United States. Customs in this context means the mannerisms, etiquette, and cultural factors that are unique to a particular region and country. Wide variations can exist within a country as well, as Americans know from our own experience. As a brief summary, we will provide some insights into Malaysian business culture. One should realize, however, that entire books and seminars are sought after as valuable resources to learn about business customs in ASEAN countries. It is typical in Malaysia for first contact to be in person and to serve as a relationship-building experience. Personal relationships are essential. Patience with this process and sincere interest in building this personal connection can be a struggle for Americans. Respecting the hierarchy of the person within their organization is very important. Titles and greetings need to follow local protocols. These procedures need to take the genders and religions of everyone into account. Gift giving customs vary by country, with this practice most common in Japan and South Korea. Appreciating local customs is very important here as well. Gifts that are too modest may be seen as insulting, whereas too expensive can be perceived as bribery. The particular item for a gift must respect people’s religions and cultures as well. Many Americans know to avoid pork or alcohol gifts in Muslim countries. Fewer Americans know that clocks and sharp objects should be avoided in the Chinese culture. Because of the delicate nature of personal relationships and their vital importance in doing business throughout ASEAN, working with a multi-cultural guide who is fluent in many Asian customs as well as languages provides a unique competitive advantage for American companies that seek to establish operations in Asia. Bridging this gap between cultures, continents, and commerce is a unique strength of Big Wau. Advance planning and scheduling is required to ensure that Americans have the appropriate visas to visit or work in ASEAN countries. As with the other factors, these vary by country. Unlike the European Union, where travel is easy and forgiving between member countries, this open arrangement does not exist among ASEAN countries, especially for foreigners. To visit Malaysia, a single entry visa is valid for up to 3 months. A visa for multiple entries can be obtained for 3-12 months. American citizens are required to have a passport valid for at least six months to enter Malaysia, but Americans do not need to obtain a Malaysia visa in advance for a pleasure or business trip if their stay in Malaysia is 90 days or less. Vietnam has 7 common types of visas, only one of which is for tourism (DL). That means six others are for business. For instance, foreign investors or lawyers need a DT visa. Visiting multiple countries in one trip, as is common for a business executive scouting potential locations, is possible. But if you or your company doesn’t have experience with this process and the unique requirements of each country you plan to visit, the risks and impacts of not establishing the proper visas ahead of time can be very costly, even dangerous. In the most benign case, you won’t be allowed to enter a country that you planned to visit. This will still be very disruptive for the people who are expecting you, and embarrassing for your earlier promises. More unfortunate and dangerous is if your visas were issued with the expectation you would leave a certain country within a narrow window of time for the visa – 14 days for example – before heading to other countries for additional visits. Changing your schedule and overstaying a visa in one country in order to keep the schedule in subsequent countries runs the risk of large legal fines or even imprisonment. These are not risks you want to take for yourself, your company’s reputation, or your family. 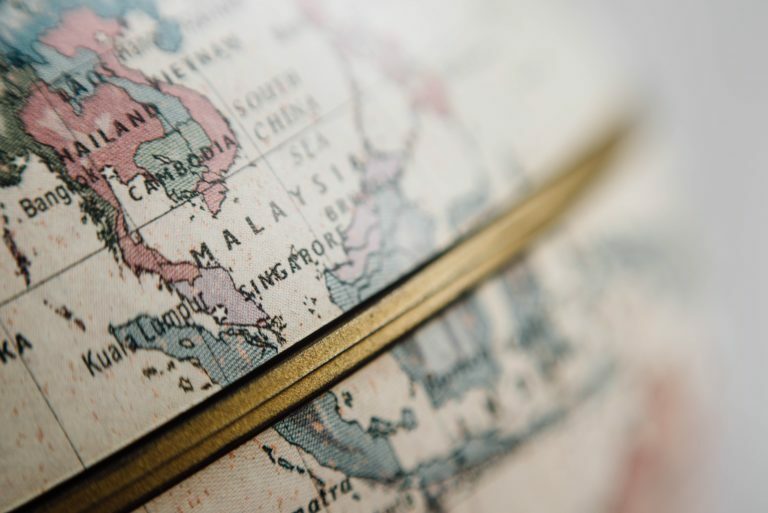 These 5 factors for doing business in ASEAN are what you as an American business leader need to know as you establish your international supply chain. Assess your own capabilities and strengths in each of these factors. If you are lacking in one or more of them, working with a partner who brings this knowledge and capability will save you tremendous time, money, and stress along your journey.